This digital download will feature all of the content found on discs 1 thru 4 (Main Feature and Extras) of Jeff Miracola’s Fantasy Art Workshop Oil Painting Techniques DVD in high definition 1920×1080 format. 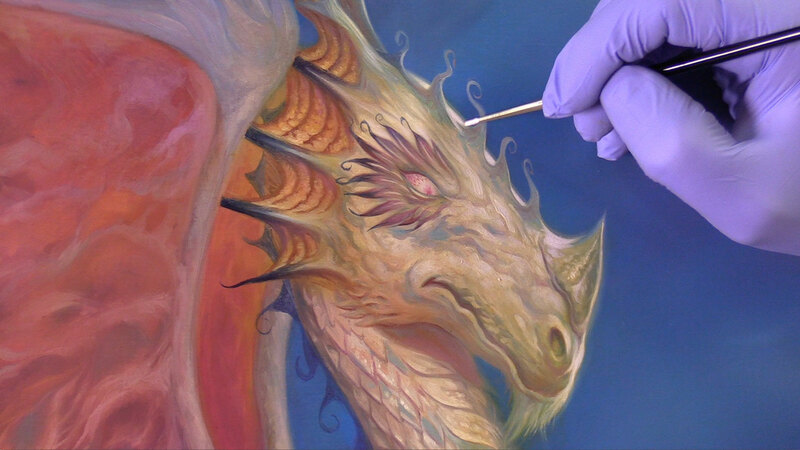 It will give you the most detailed look at Jeff Miracola’s oil painting process and will answer your many questions about creating a fantasy art oil painting from start to finish. 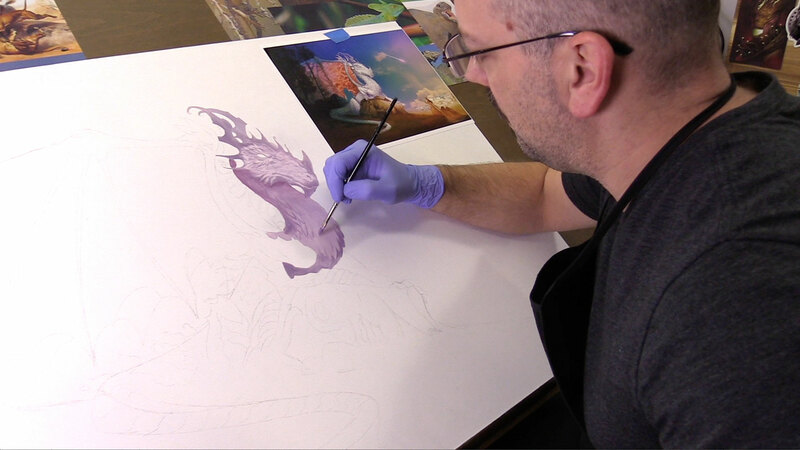 The focus of the video is on creating a professional fantasy painting and is intended for both beginners and professional alike. 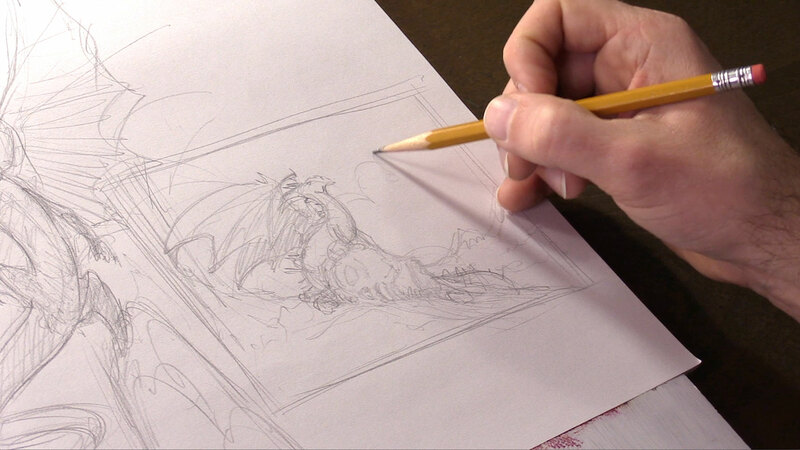 We use a highly trusted and secure site called Gumroad to deliver our digital downloads. We highly suggest you create an account at Gumroad during the checkout process so you can always return to view or download your videos files. 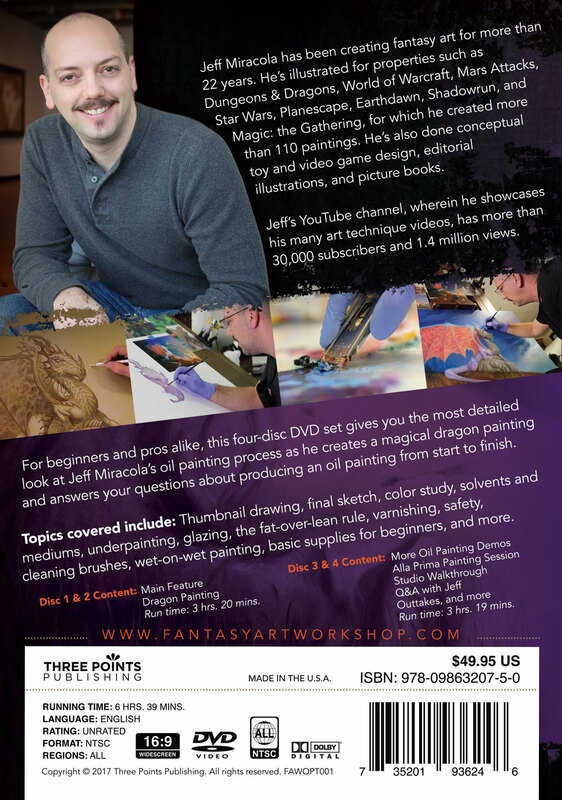 This digital download features all of the content found on discs 1 thru 4 (Main Feature and Extras) of Jeff Miracola’s Fantasy Art Workshop Oil Painting Techniques DVD, but in high-definition 1920×1080 format. 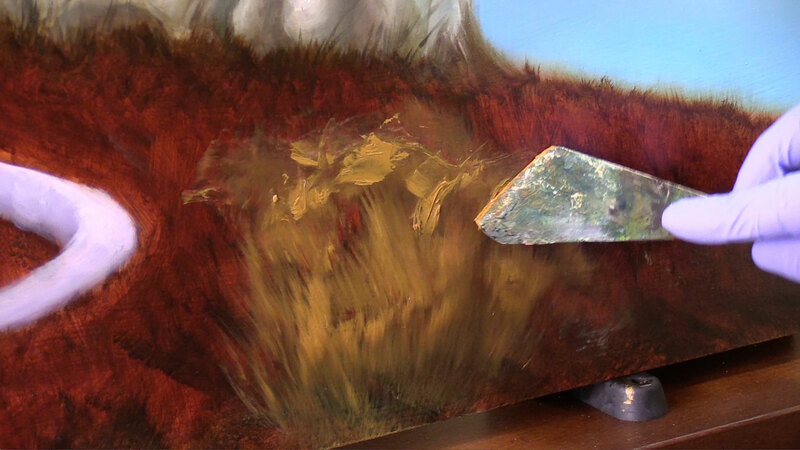 These videos gives you the most detailed look ever at Jeff Miracola’s oil painting process from start to finish. 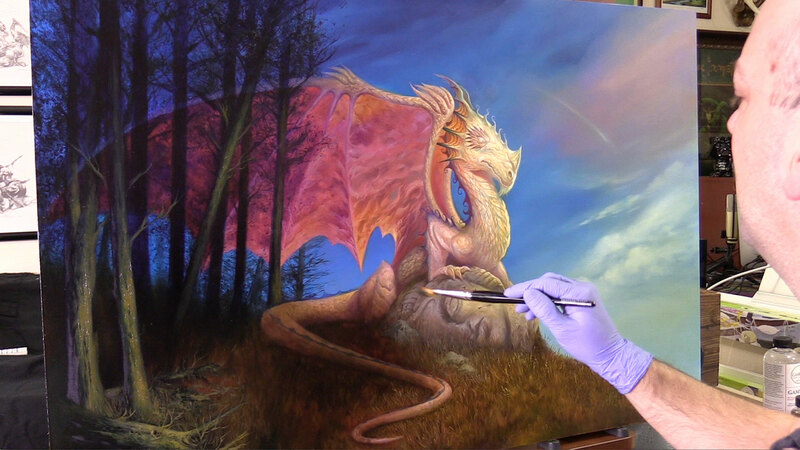 Jeff answers your many questions about creating a professional fantasy art oil painting, offering time-tested advice on materials and process. This amazing resource is intended for both beginners and professional alike.